Wait so you want more CL packs or na. No mas CL cards because they’re just not very good (they’re all just a +1). The players in the club not being used could potentially go into MM Thursday or if EA debuted something else on Friday. I won't get getting rank 1 next week its just not worth the time think i played 49 games this week for them packs. With that said we now know the best team we can make and it is one of these two won my last 3 games in the 4411 so using that ATM starting in 4321 on 100 chem these are out best teams. I used the Napoli blue for mm because I am stupid. MM Tonight we should be able to do them for pretty cheap so there could be a final upgrade tonight however you have 10 hours to finish voting on the WL the packs had a good enough majority vote to open the packs so I could show you the team. Can the board vote that he should be playing as many games a sit takes to get the best rewards?? Surely the board think getting the best rewards is the best option to progress as a club? 49 games? Get going then lad. 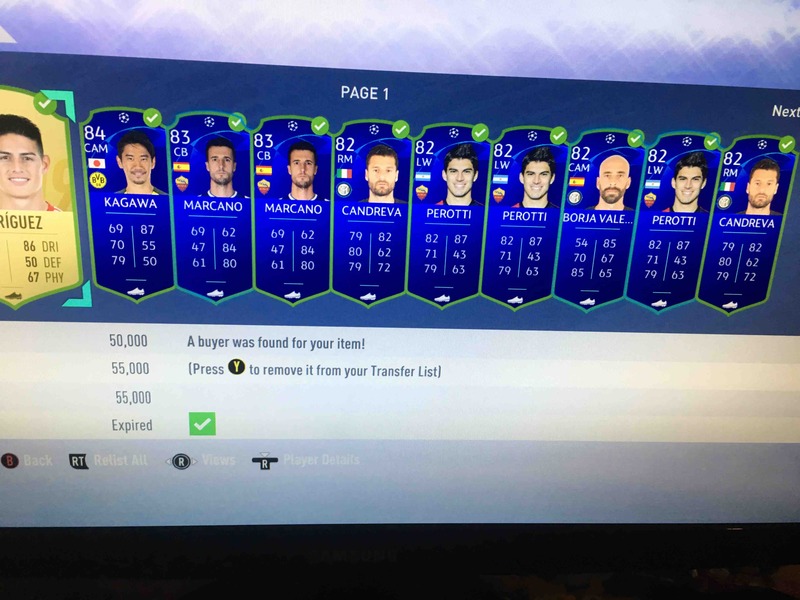 Make sure you do WL or keep the discard IFS as they'll be needed in SBCs & be more worth to you keeping & selling or using when those SBCs come about. Must have accidentally missed you off while coping tags! Now Because of this recent investment I am going to do 5 more CL SBCS I don't think a poll is needed I need upgrades and we made some great coins today so why not spend some right? Very nice!! I made some nice coinage which got reinvested into IFs but i wish i had bought more of them. Very nice update, made some tidy profit!! 6 wins in the WL is surely worth it? On a positive note the CL packs where ok we got a wonder super sub for us we also got a CL version of Nacho which is nice as we have his 83 for a SBC now. @WonderMouse problem is I don't even know if I can get 6 wins! A: I can't finish B: my team still has some areas I am not happy with. @VICTAAAA Indeed! however I wanted to do his SBC not purchase him off the market so I need to give it a few weeks to see if they drop. What’s the threshold of waiting for his SBC that might take months to come? We’ve seen how EA release Icon SBCs, irrationally and nonsensically. @VICTAAAA I 100% want to do his SBC when it drops however I might purchase his prime to use until the SBC drops for the sake of the thread will see how EA do it first though. I think you have the support of most of the board on this plan. You might have accidentally clicked the star in the top right. I'd start off with his baby, then as you progress set yourself 2 more milestones, be it earning the cash for the Prime, or etting into div 1 etc, to then unlock the nextversion of him, so it's like going through his career worst to best. When did you become such a BEAST?!! I’m struggling big time in D5 so I guess I just got some luck with match making! Been a G1 pleb last two years. Damn @Cadey 5 - fantastic set of results there - well done! Once the SBC drops, you'll be able to sell him and probably get that done quite easilt. Also, if that is the "short term" decision, then maybe taking coins in Rivals for the next few weeks is a better option, dependant on who you get from your player pick. Thinking like this given you've found a team/formation to suit for now. Again, my thing is we don’t even know if EA will drop Primes or maybe just Primes of the new guys or they won’t do it at all! I’m all for trying to get the mid tier/prime until SBCs are confirmed. I don't mean to stir the pot, and I doubt this is right... But what if they drop boosted prime sbcs... Diff color.... Plus one on their prime... Maybe a diff dynamic pic or in game model.... You all KNOW that anything like this would send the forum into a frenzy.. even aesthetic changes! Once the SBC drops, you'll be able to sell him and probably get that done quite easily. I think it's great that EA has released Primes in the market already. 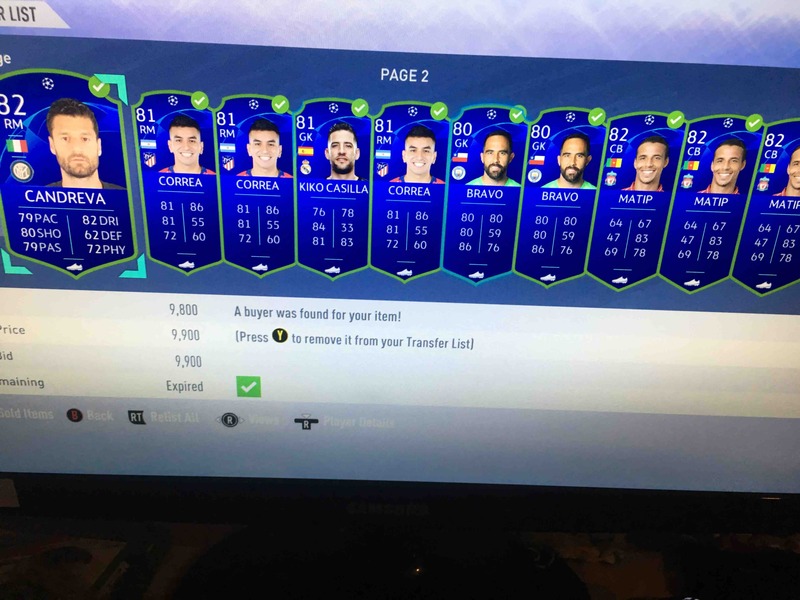 Gives them an indication of what price they are, then hopefully release a Prime SBC that's priced accordingly. as fellow, resident old farts, we should all know better than to expect EA doing anything we want/having items priced accordingly.